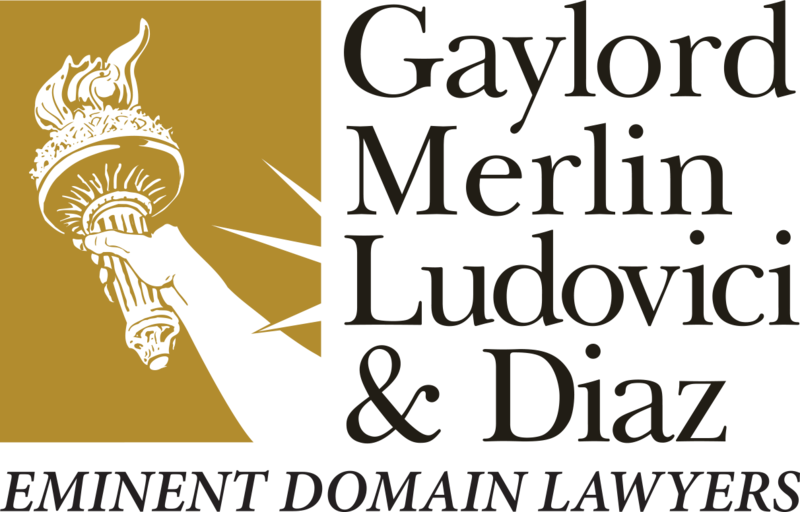 Gaylord Merlin is a statewide leader in Eminent Domain. Our more than 70 years of combined experience representing property and business owners allows us to handle even the most complex eminent domain case with skill and efficiency. In addition to our extensive trial experience, we have represented owners in Florida’s appellate courts and before the Florida Supreme Court. A hallmark of our firm is a “team” approach. Our experienced attorneys, working closely with leading experts who are seasoned in eminent domain trials, develop innovative trial and valuation strategies that fully consider the impact of the taking, the damages that will be incurred, and the full compensation an owner should receive. Our firm has handled numerous jury trials and non-jury trials in front of judges in various circuit courts across Florida. We have also tried eminent domain cases in Georgia and Illinois. We have the resources and experience to take your case to trial if necessary. Our firm actively participates in property rights legislation in Tallahassee. We monitor bills filed that affect owners’ property rights and lobby for stronger protections in existing and proposed legislation. We work with state senators, representatives, transportation officials, lobbyists, business organizations, property owner interests and others to fight for better statutory protections for owners.